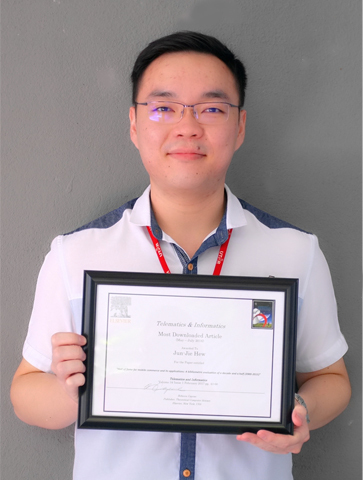 Marking another milestone of the groundbreaking research conducted in UTAR is Faculty of Business and Finance Tutor Hew Jun Jie with his “Telematics & Informatics Most Downloaded Article (May – July 2016)” award that he recently received from Elsevier (USA)’s Telematics and Informatics journal. Titled “Hall of fame for mobile commerce and its application: A bibliometric evaluation of a decade and a half (2000-2015)”, the award-winning research paper centres on evaluating the current development and trends of researches on mobile commerce and its application through bibliometric analysis. “I really did not imagine my paper could be one of the most downloaded articles of this journal. It is truly an honour to have the Editor-in-Chief Prof Jan Servaes accept my paper and to have so many readers around the world reading my paper,” said Hew. Apart from his paper being recognised as the most downloaded paper, Hew’s paper also serves as a forerunner in using bibliometric analysis in the Web of Science database. 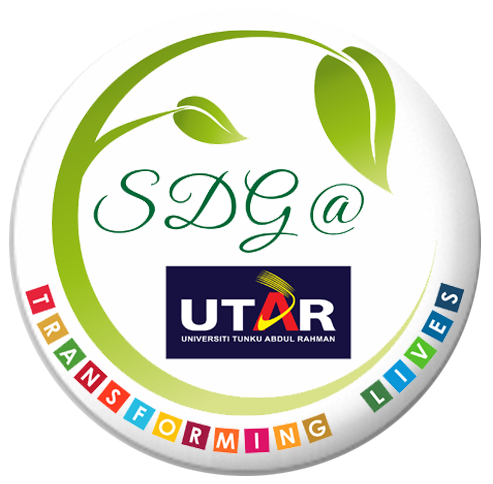 He also foresees the paper benefitting researchers by identifying potential research directions, and eventually being a guide to potential researchers and practitioners in this research field. 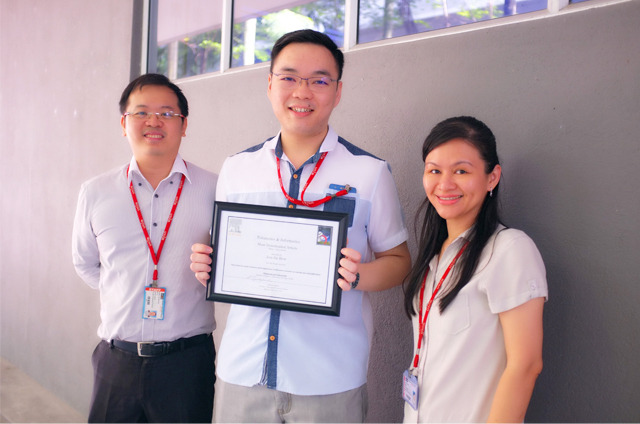 Currently, UTAR is ranked the third among the most productive institutions in the research discipline of mobile commerce and its application, and adding to that success are FBF Senior Lecturers Garry Tan Wei Han and Leong Lai Ying, who have been identified in the list of most productive authors. This success also draws attention to Malaysia as being one of the top ten most productive countries in this research field. Telematics and Informaticsis an interdisciplinary journal examining the social, economic, political and cultural impacts and challenges of information and communication technologies, and is currently indexed with Thomson Reuters (ISI); Social Sciences Citation Index (SSCI), with Impact Factor (IF) of 2.261. The paper can be read and downloaded here.